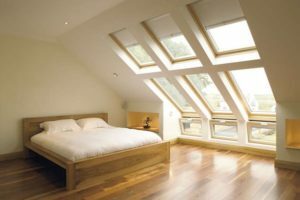 Skylights are a great addition to any room. They illuminate the room and give a nice view of clouds in the day. At night you get to see the stars. You might want to add a skylight to your living space. Skylights illuminate hard to light interior spaces. They are awesome. Alternatively, you may need to replace a skylight. Regardless you come to the right place and found the right skylight contractors. Installing skylights in the Boca Raton area. Windows aren't the best solution for introducing natural light into your home. Traditional domed skylights could be an option. But you will need room on the ceiling to install them. A simpler option might be a tubular skylights. They can be more economical and efficient. We will get to the differences a little further down. The most common reason to replace a skylight is because the old one leaks. Many people ask us if we can just replace the skylight dome. Unfortunately, we can't. All skylights in South Florida have to be tested in a wind tunnel. The Florida Building Code (FBC) requires it. The skylight manufacturer tests the entire assembly of a skylight. They don't test the skylight dome alone. Hence, replacing a skylight dome only doesn't meet the standard. Insurance wind coverage requirements is the second most common reason to replace a skylight. In either case, there is a lot of work to at hand. One has to remove the roofing around the skylight first. Allowing to remove the skylight. There are strict standards to replacing the skylight. They must be followed. When finished, the demolished roofing assembly is rebuilt. Its a full days work for a three man skylight replacing crew. Domed skylights have two varieties. They can be curb-mount skylights or self-flashing skylights. The difference between the two is simply. Its their installation methods. Curb mounted skylights need a curb on the roof to secure them on. That's usually wood framing the skylight unit sits on and gets screwed to. Self-flashing domed skylights come with an aluminum curb already attached to them. They don’t need a curb built for them. We install them by screwing them down and sealing the flange. Domed skylights are made with aluminum frames and acrylic skylight domes. The dome is acrylic and can be clear or tinted bronze. The domes are insulated, meaning they are double domed. This makes them hurricane resistant skylights or impact resistant skylights. It also cuts down on the heat transfer from outside. As professional skylight contractors we will walk you though the process and help you make all the right decisions. There may be a down side to a new domed skylight. A new instillation requires a large hole be cut in the ceiling. You'll need new wood framing . You might need to modify the roof trusses. And finally, there is a lot of drywall work and painting. A tubular skylight, as discussed below, may be a better option for you. All of our skylights can be upgraded to impact resistance upon request. The impact resistant skylights will meet your insurance requirements for wind mitigation. And our skylight installers will make sure they pass the inspection. Domed skylights have aluminum frames. The dome is made of acrylic and clear or tinted bronze. In order to be more energy efficient and hurricane resistant, the skylights we use in South Florida are double domed. Tubular Skylights are compact and deliver a large supply of light in an energy-efficient manner. These skylights could be the smartest choice for your home. They fit nicely in hallways, bathrooms, laundry and storage rooms. Their modest styling can match with your home’s decor quite nicely. And unlike traditional skylights, tubular skylights install quickly. They don’t require cutting and modifying your homes trusses. And they affect the roof and ceiling a little bit. Tube skylights install on the roof. The “tube” runs through the attic. A small hole is cut in your ceiling. The inside skylight lens is all that shows. Skylights tubes do a better job blocking the Ultra Violet rays from the Sun than do traditional skylights with domes. This prevents fading of your furniture, flooring, carpeting and anything else. 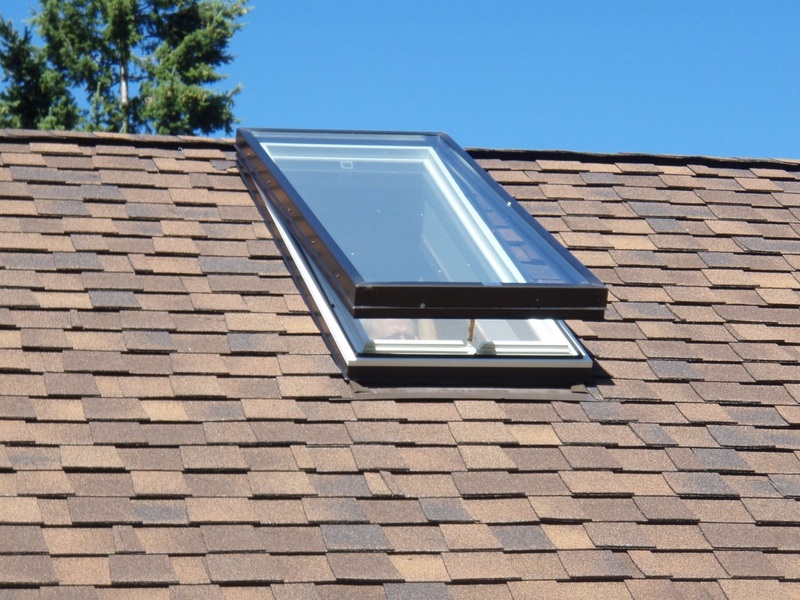 Tubular skylights allow less solar heat gain in to your home too. Skylight with tubes are virtually maintenance free. You may want to polish the tubular skylight dome from time to time. But you don't have to. The designed to be enjoyed as is. 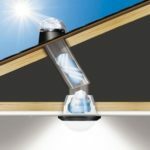 How Much Light Do Solar Tube Skylights let in? Tube Skylights aren't going to let in as much light as a domed skylight. They are not as big. These skylights let in the equivalent light of a 60 watt to 100 watt light bulb. How big should your new Tubular Skylight be? A 10″ Tubular Skylight can light 150 sq. ft. A 14″ tubular skylight can light to 300 sq. ft. Let us how much light you want, and we can calculate the correct size. Let this skylight contractors show you what this means. Skylights can beautify and enhance just about any room in your home. You might have a dark kitchen, bathroom or hallway that needs a little more light to show off its features. The instillation of new skylights will most certainly make your home feel warmer. Don’t worry that the instillation of skylights might make your home hotter. Today’s skylights can come with double panes and with “low-e”, for “low emissivity”, and are very energy efficient. 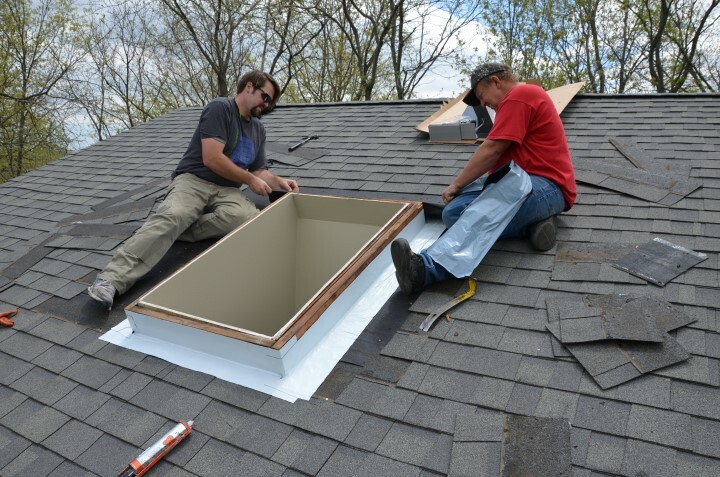 You will want to setup and install your new skylight in an appropriate place. Install skylights in a place that gives the most light in your selected indoor space. A dark hallway or bedroom is a good example. Instillation and placement of skylights on the roof is quality important. Don't install them in roof valleys. Skylight installs on the shady side of the roof may not be a good idea either. PMSS is an experience skylight installation company. We will help you through the process to make the right choices. 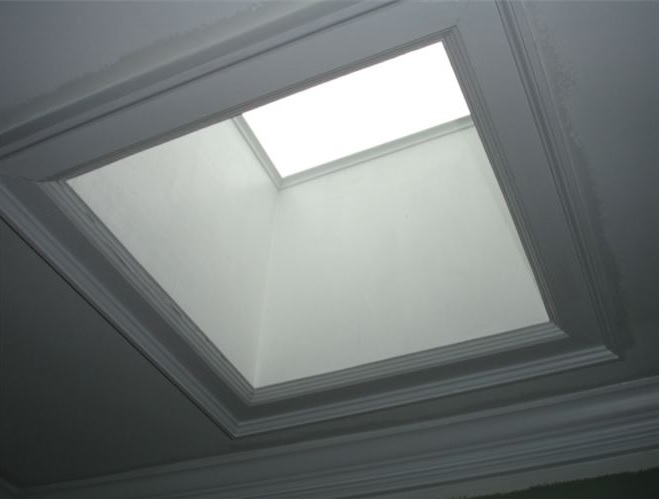 When you choose to install a new skylight you may have to cut the ceiling and make an opening to let the light in. If you want a large skylight you may even need to move some trusses around. But don’t worry! We are licenses roofing and building contractors. Our qualified crews can do all of the exterior and interior work. If you want a skylight ceiling, we are your one stop contractor. Are you looking to replace a skylight? The roofing experts at Preventive offer stunning, high-performance skylights for homeowners in Boca Raton, FL just like you. You get your own little piece of the sky while enjoying big savings and an exceptional customer experience.